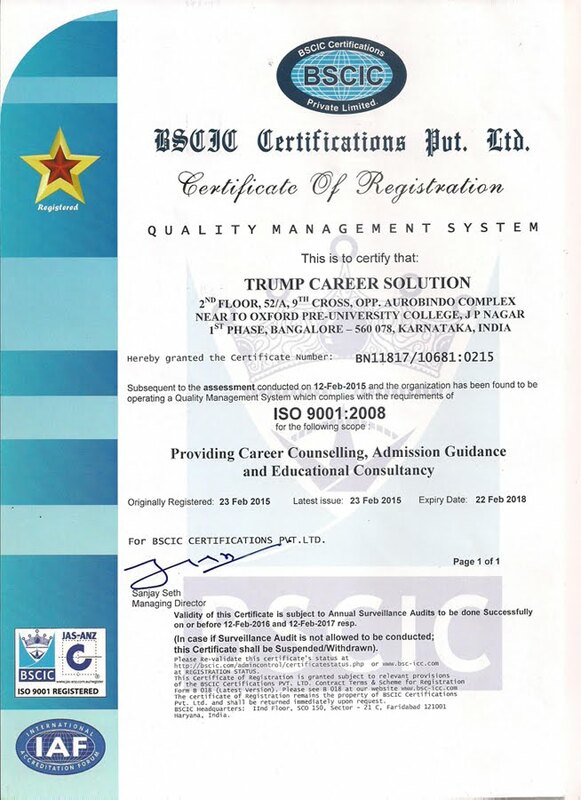 Contact Trump Career Solution for Deemed Medical Colleges in Karnataka through management quota call on +91-9742479101 [Ankit Mishra] +91-9742886036 [Anis] +91-9632226036 [Shekhar] 080-42173206 [Office Reception] for Details on Admission Process, Eligibility Criteria, and Fee Structure. Deemed Medical Colleges in Karnataka are autonomously run institutions. All colleges are MCI approved. The deemed institutions conduct own entrance exam. Deemed Medical Colleges in Karnataka through management quota and included in the list of Universities in terms of rules framed under the said Act. The Deemed Medical Institutions of Karnataka conducts its own entrance examination. The students are selected on merit and counseling. All of these courses and degrees obtained from the below-mentioned Deemed medical colleges Karnataka are recognized by MCI. Deemed Medical Colleges in Karnataka has a top of the mind institution by the name of Jawaharlal Nehru Medical College is in Belgaum. Belgaum district is the fifth largest city in the state of Karnataka, India. Can be reached by train, bus & air. The deemed Medical College is under the management of Karnataka Lingayat Education Society. KLE Society is the sponsoring society of the KLE University. Jawaharlal Nehru Medical College is one of the 2 deemed medical colleges Karnataka having MBBS (UG), MD (PG), MS (PG), PG Diploma, DM & MCh Courses. Deemed Medical Colleges in Karnataka list contains a reputed institution in the famous city of Mysore, known by the name of JSS Medical College & Hospital is in Mysore, Karnataka. From the Academic year 2008-2009 JSS Medical College has become a constituent college of the JSS University (Established under Section-3 of UGC Act in 2008) a Deemed to Be University. The origin and the force behind the deemed medical institution is Jagadguru Sri Shivarathreeswara Mahavidyapeetha (JSSMVP). “JSSMVP sponsored by Jagadguru Sri Veerasimhasana Math, a religious monastery situated at Suttur in Mysore District of Karnataka State.”Deemed Medical Colleges in Karnataka through Management Quota-The courses conducted in this college present in the list of deemed medical colleges in Karnataka are MBBS, MD, MS & PG Diploma. Deemed Medical colleges Karnataka list cannot miss K S Hegde Medical Academy established in 1999, at Deralakatte, Mangalore, Karnataka. The medical college is under Nitte University (Declared as Deemed to be University under section 3 of UGC Act 1956). The university has Medical Sciences Complex at Deralakatte, Mangalore and campuses at Nitte and Bangalore. The courses conducted in this deemed medical college are MBBS, MD, MS & PG Diploma. The one at Manipal is having MBBS (UG), MD (PG), MS (PG), PG Diploma, DM & MCh Courses. And the other at Mangalore only has UG & PG seats but no super specialties. Deemed Medical Colleges in Karnataka also has National Institute of Mental Health and Neuro-Sciences (NIMHANS) is a multidisciplinary academic, research and health care institute in Brain – Mind – Behavior axis is in Bangalore, Karnataka. In the year 1974 an amalgamation took place between ‘All India Institute of Mental Health and Government Hospital of Mental Care and thus formed National Institute of Mental Health and Neuro-Sciences to run autonomously. Deemed Medical Colleges in Karnataka list has an institution in the historic city of Bijapur by the name Shri B M Patil Medical College, Hospital & Research Centre came into existence in Bijapur, Karnataka in the year 1986. Bijapur is strategically near to the people of Maharashtra, Goa and Andhra Pradesh. The deemed university institution is under the management of BLDE Association a private trust of Karnataka. BLDE stands for Bijapur Lingayat Development Education Association. Deemed Medical Colleges in Karnataka list has the prestigious college by name Sri Devaraju Urs Medical College established in the year 1986 in Tamaka Village, Kolar,Karnataka. From Benguluru, it is only 75 Kms. Easily reachable by train or bus. The deemed institution comes under the aegis of Sri Devaraju Urs Educational Trust for Backward Classes of Karnataka. Deemed Medical Colleges Karnataka List has an institution in Tumkur, Sri Siddhartha Medical College (SSMC) started in the year 1988 in Karnataka by Sri Siddhartha Educational Society (SSES) founded by late Sri H M Gangadhariah. Sri Siddhartha Medical College is the constituent college of Sri Siddhartha Academy of Higher Education. Deemed Medical Colleges in Karnataka through Management Quota: The UG and PG graduates can contact the deemed university institutions of Karnataka for more details. The aspirants may contact the deemed university institutions to know about eligibility and entrance examination exact dates enabling you to apply well in advance. The address, phone numbers and emails of the deemed university institutions of Karnataka listed below for your convenience. Deemed Medical Colleges in Karnataka through Management Quota? Hurry Up! Ambedkar Medical College has been established in the year 1981 by Ananda Social and Education Trust, with the objective of providing Primary, Secondary and Tertiary health care facilities to the deserving. The institution also envisages to produce doctors with best possible professional knowledge and attitude of service above self, both at Undergraduate and Post graduate levels. All the faculty members impart up to date knowledge and help the students in research and academic activities. All the staff, help the students whenever required with immense pleasure. Though aimed at reaching the heights of excellence in the field of Medical, Health and patient care , adequate opportunities for extracurricular activities like sports and cultural is also given for all round personality development of the students. Mbbs admission in Ambedkar college admission procedure etc Ambedkar college there curriculum followed, is as per the guidelines of the Medical Council of India and Rajiv Gandhi University of Health Sciences, which awards the various degrees & diplomas. MBBS Admission in Ambedkar College through Management quota Bangalore: Candidates should have passed 12th standard and should have obtained 50% aggregate marks in Physics, Chemistry and Biology (taken together) and should have passed English as one of the subjects. The candidates should have completed 17 years of age as on the 31st December of the year of admission. Selection is through COMED-K and CET. MBBS Admission in Ambedkar College through Management quota Bangalore: to know Fee Structure and admission Procedure: Contact TRUMP Career Solution (An ISO 9001:2008 Certified Company) for Direct MBBS admission in Vydehi medical college on +91-9742479101 [Ankit Mishra] +91-9742886036 [Anis] +91-9632226036 [Shekhar] 080-42173206 [Office Reception] for Details on Admission Process, Eligibility Criteria, Fee Structure..etc. Disclaimer: This advertisement is regarding guidance for MBBS Admission in Ambedkar College through Management quota Bangalore. People may seek out information from this advertisement that they find agreeable, either from the viewpoint of informative and easy to make use of or from the viewpoint of having content that matches individual’s need. It is the decision of viewer contacting us.